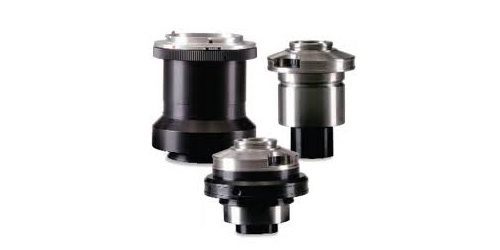 We offer a complete selection of ‘C’ mount adapters for coupling digital cameras to microscopes and stereomicroscopes. The correct ‘C’ mount will make all the difference in creating high quality images from your camera. Standard sizes include 0.35x, 0.38x, 0.45x, 0.5x, 0.63x, 0.67x, 1.0x and 1.2x. All are brand specific so choose carefully. 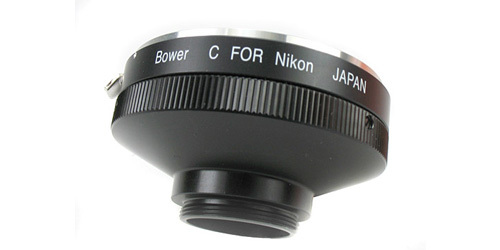 ‘C’ mounts need to match the size of your cameras sensor. Don’t make the mistake of using the wrong ‘C’ mount adapter! What is the magnification on my monitor? We all know how to calculate magnification we see through the eyepieces of a microscope or stereomicroscope, (objective magnification x eyepiece magnification). But, what is the magnification on that monitor or computer screen when using a mounted camera? The calculator below can be used to estimate the “on screen” magnification you are getting with your CCD or CMOS camera attached to your computer or monitor and your microscope or stereomicroscope with phototube and ‘C’ mount adapter. Click here for a Magnification Calculator, then adjust the values as you need and then press the “Calculate” button which should then give you a magnification reading. Go back and change adapters or monitor sizes each time pressing the “Calculate” button and observing the result. A handy tool for determining what hardware is needed for a particular inspection related magnification, for example. Regarding screen size, the calculators assume that the image captured is the size of the whole screen. If not, measure and adjust the size of your capture window diagonally using a ruler.